The Osho Leela Meditation Center shares its space with other teachers and seekers, either with a direct sponsorship of their event or offering or through its space rental program. 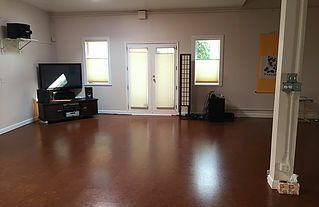 Our meditation space is 22 X 32 feet and has a new cork floor, west facing windows, stereo and video equipment. It has an entry room, session room/kitchen and a library. 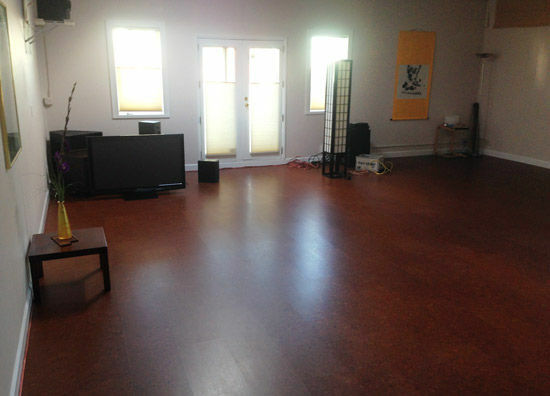 This space is perfect for yoga classes, retreats, workshops, dance events, and of course meditation! Our room rates are negotiable if the room is rented on a regular basis, e.g., once a week for several weeks. We are happy to work with you on your event, these prices are based on average rental times and use. We also sponsor events at times – let us know what you would like to create and maybe we can help support your efforts by hosting your event. 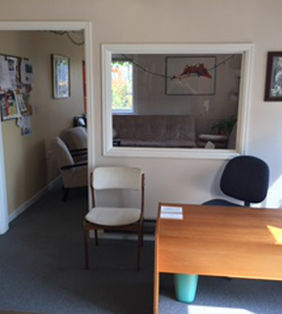 We also have a separate session room that we share with therapists and healers in our community, next door to our Center. The room has its own entrance and is quite comfortable, with space for counseling and coaching sessions, body work or small groups. It is beautifully furnished, with comfortable seating and plenty of space for various treatment modalities. We have a massage table available and there is plenty of room for a large shiatsu mat.